Click on a thumbnail for a full sized image. This page is a work in progress. A severe ice storm in 1996 left me stranded and without power in sub freezing temperatures for 3 days. This prompted me to re-evaluate my emergency preparedness needs. 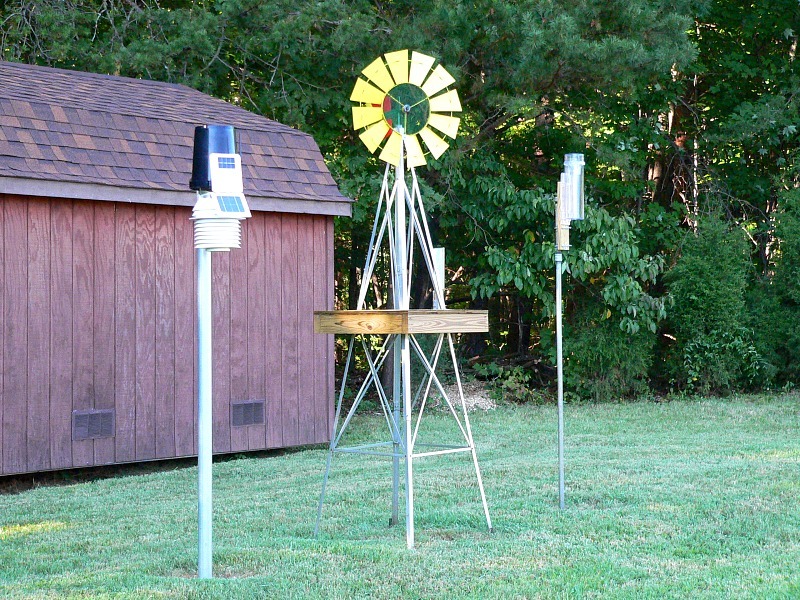 Initially I started with a manual inverter system that required stringing drop cords. 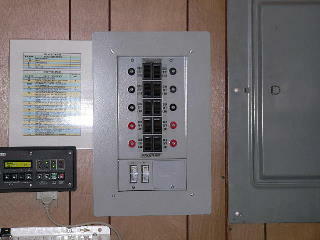 In 2003 I replaced the manual system with the whole house Trace UPS. 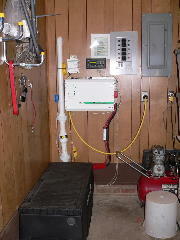 The Trace system worked perfectly during the December 2005 ice storm which knocked out power for 2 days. The UPS will power my emergency heat, refrigerator, freezer, some lights and the weather station for over 24 hours without external power. When the batteries get low I recharge them with a portable generator. 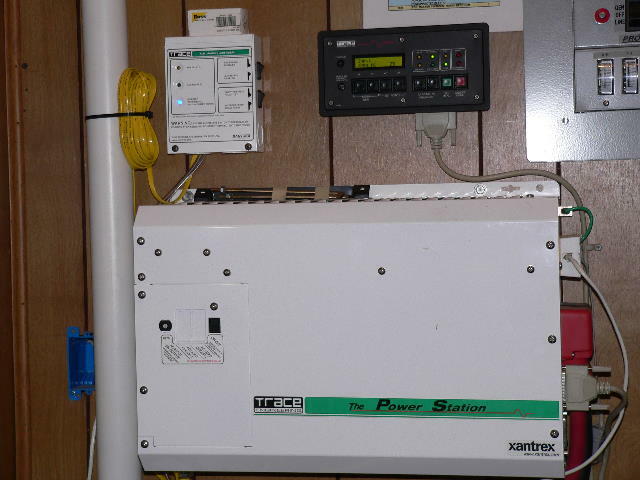 The PS-2512 has built-in power monitoring and transfer capabilities. 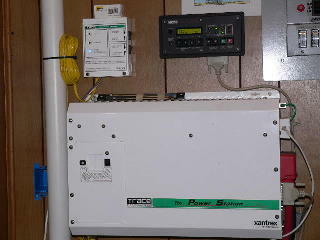 The inverter is always running and synchronized with utility power. If a brownout or blackout is detected the inverter instantly takes the load and supplies power until utility power returns to normal. 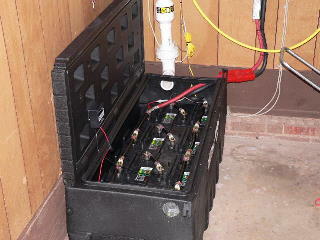 When utility power is restored the inverter recharges the battery bank with a built-in 130 amp smart battery charger. The battery bank consists of eight 6 volt golf car batteries in a plastic acid resistant battery box. The red object is a 400 amp quick disconnect connector. The white pipe is for battery box ventilation. The vent pipe vents battery emissions outdoors. The vent has an integral exhaust fan.The exhaust fan is controlled by the inverter and runs only when the batteries are charging. The manual transfer switch selects utility power or inverter power for up to 12 circuits. 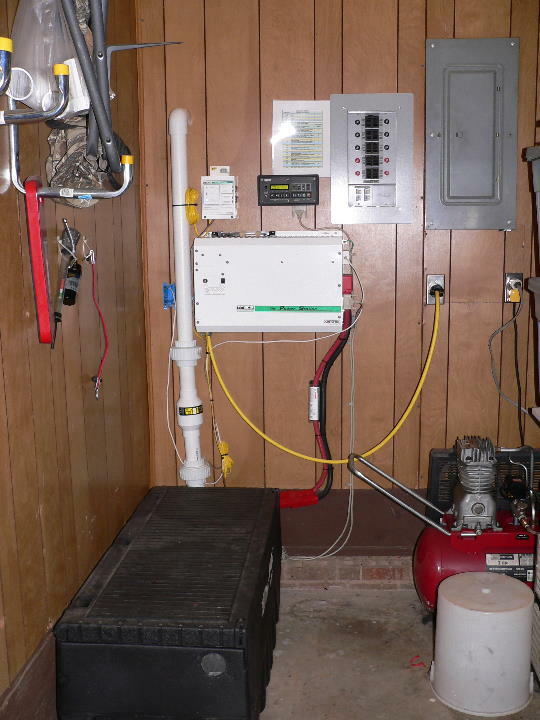 Essential loads such as heat, refrigeration, some lights and the weather station are selected full time to the inverter. ©All rights reserved. Unauthorized duplication or distribution is prohibited.